Curious about CBD? 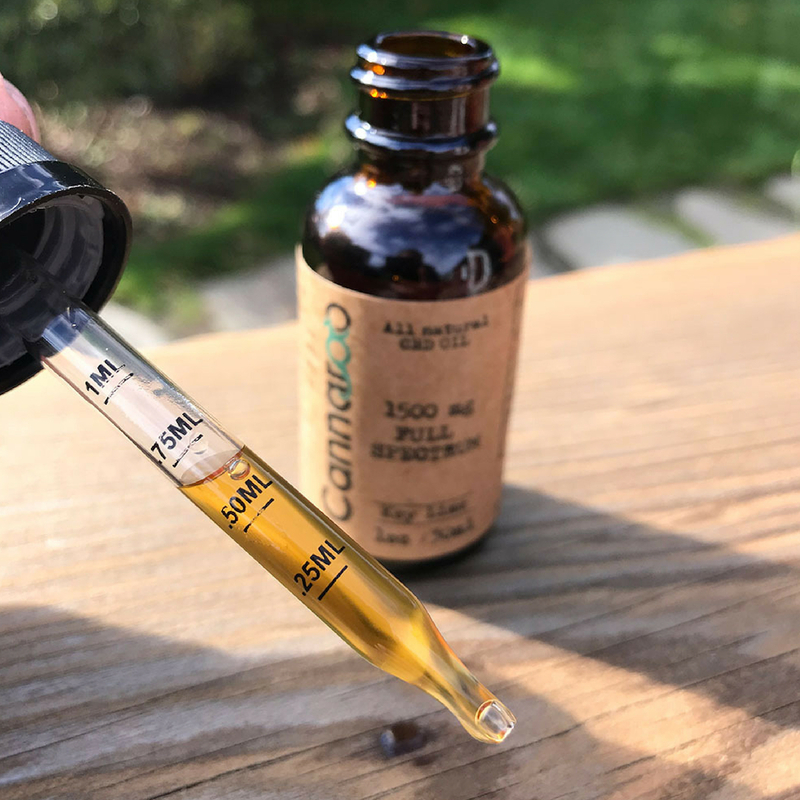 Cannaroo CBD is a great option for those looking for flavored or topical CBD products. Incorporating CBD into my self-care routine has been a game-changer for management of my daily anxious feelings. It’s empowered me to remain calm and even offers support during my period when menstrual cramps get the best of me. Personally, I love having more than one CBD in my toolkit (I’m also a big fan of Soul Addict and their organic hemp CBD) and Cannaroo has been a welcome addition. Like I mentioned above, it is nice to have a variety of CBD elixirs in your wellness cabinet. Cannaroo is the first company I’ve tried with the addition of natural flavoring (like Lemon Lime, Peppermint, and Key Lime). 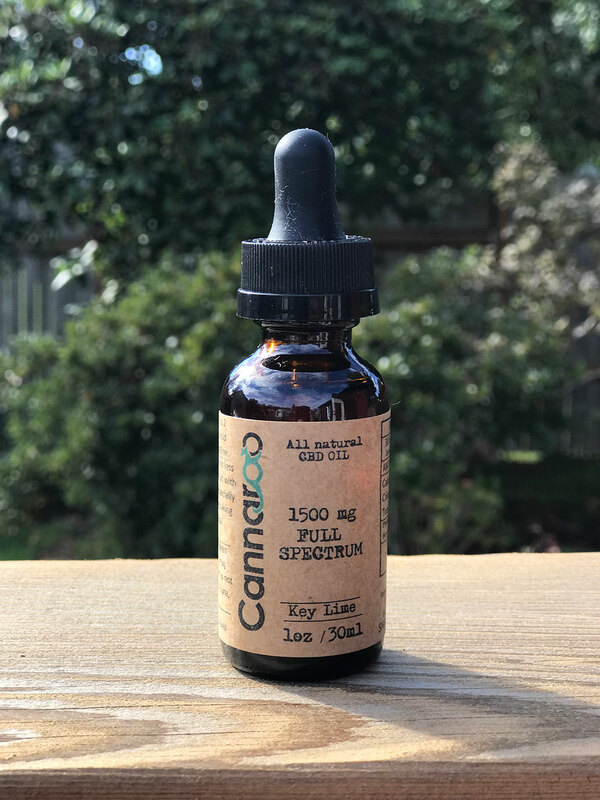 Cannaroo is an organic and non-GMO CBD company based in Nashville Tennessee and their products are made from Kentucky-grown hemp. According to Cannainsider, 70% of the world’s industrial hemp supply comes from China, Russia, and South Korea. Personally, I prefer my organic CBD to be grown in the US. The CBD oil itself is processed through CO2 extraction in a GMP-approved (Good Manufacturing Practice) facility. This process is designed to minimize the risks involved in any pharmaceutical production that cannot be eliminated through testing the final product. Also, all of their CBD is third-party tested to ensure quality and purity. You can view the results below! When it comes to shipping, Cannaroo offers fast USPS priority shipping to all fifty states plus free shipping on orders over $100. If you’re not totally satisfied with the product, there is a 30-day money back guarantee. In addition to three different flavors, Cannaroo’s CBD comes in both full-spectrum and isolate options. Full-Spectrum means that that the oil contains dozens of cannabinoids including a non-psychoactive type of THC. Remember, it would be illegal to sell CBD with psychoactive THC. Personally, I am a fan of full-spectrum CBD in general. Isolate means that the CBD only is extracted from the plant and does not contain any other cannabinoids. An interesting fact is that the lighter the tincture is the more processing it has undergone. 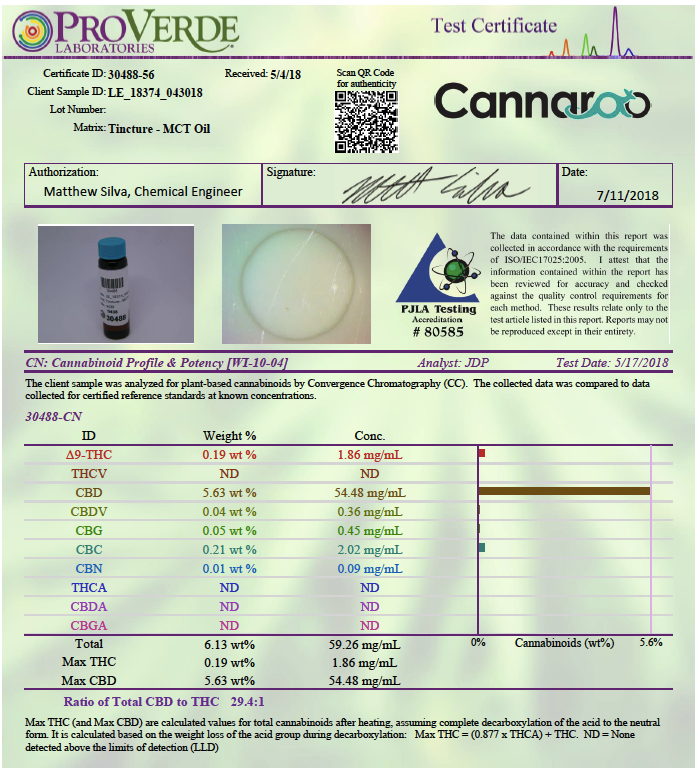 So, isolate will be more clear because it’s been filtered to contain only CBD. Full spectrum will be darker in color. You can see the differences for yourself below! You can see that the Isolate product is clearer than the full spectrum. Like I touched on above, this variance is to be expected and totally normal. Some CBD products can smell pretty grassy but the flavored CBD from Cannaroo smells nice! Depending on which flavor you choose – peppermint, key lime, or lemon-lime – the smell of Cannaroo is just like the bottle describes. I’ve had no trouble taking their flavored CBD under my tongue. Personally, I’m a huge fan of the peppermint and love adding it to my Four Sigmatic Reishi Hot Cacao mix. It’s the perfect night-cap, especially as the weather starts to cool down. When it comes to their two other flavors, my husband is a big fan of the 1500mg full-spectrum key lime and really loves the taste! We’ve yet to try the lemon-lime. As with anything, make sure you read the label entirely before use! You might have noticed in the picture above, but the Cannaroo bottle includes a measurement-level-marked dropper to provide easy consumption. If you’re taking the CBD sublingually (considered the most impactful delivery method), simply dispense the desired amount under the tongue, hold for 15-30 seconds and then swallow. A full dropper (1ml) is considered a serving size. Personally, I take my CBD differently depending on how I’m feeling. Don’t be wary of getting creative with the way you ingest it – whether it’s under your tongue, in smoothies, or added to your nighttime tea. I’ve even added it to melted coconut oil and chocolate to make a yummy CBD drizzle for ice cream! As CBD becomes more regularly studied, the numerous benefits are coming to light. Check out the list below of just a few of the benefits of using CBD. CBD can help to reduce inflammation and alleviate pain by interacting with receptors in the brain and the immune system. I’ve found it’s a great help to ease headaches and dull menstrual cramps. The most notable with the case of Charlotte Figi. A fascinating story of a child who was having 300 seizures a week and after using cannabis oil, reduced that number to zero a week. Growing research indicates benefits to mental health concerns including anxiety. If you haven’t read it already, I shared my own personal story on CBD and anxiety. USE MY CANNAROO PROMO CODE! Simply enter the code at checkout and you’ll be one step closer to experiencing the power of CBD! 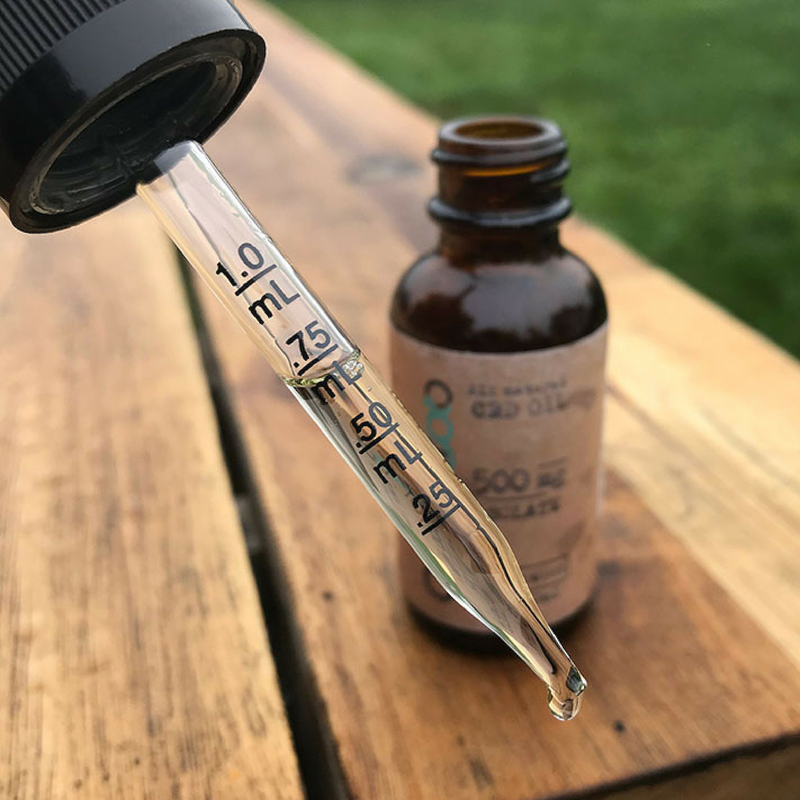 Are you excited to try CBD? Do you have questions about incorporating it into your life? Disclosure: I received some Cannaroo products for free of charge in exchange for this review. The opinions within this post are completely my own and are in no way influenced by my affiliation with Cannaroo. This post contains affiliate links and I will receive a small commission should you decide to purchase from Cannaroo.